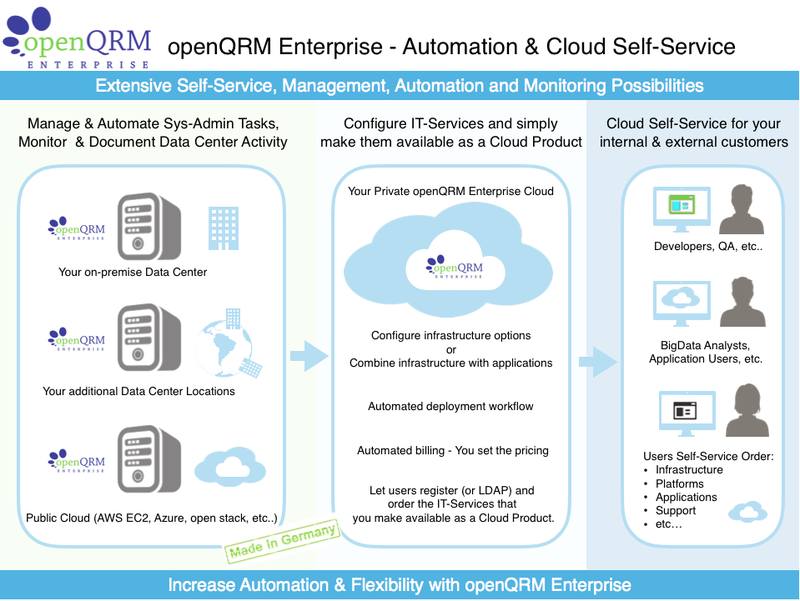 MultiCloud & Data Center with OpenQRM Enterprise. We provide a complete framework that standardizes and automates system administration. Full range of professional services to assist you with your cloud computing and data center management projects. Free how-to's and documentation. 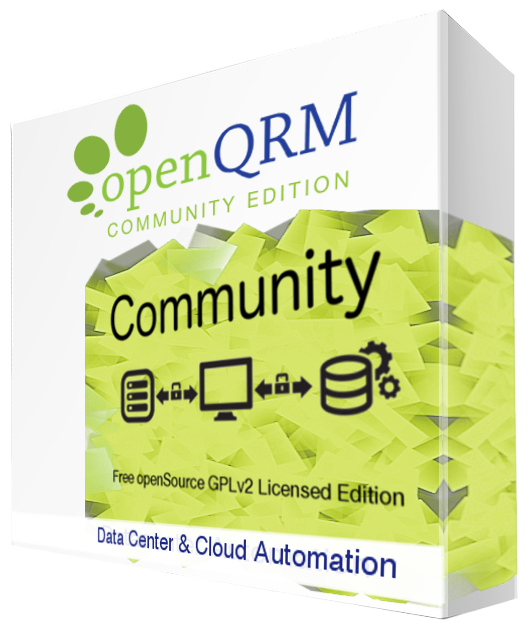 Try out the openQRM IaaS Cloud front-end in our free online demo. Request a free openQRM Enterprise Evaluation for your own test set-up. IaaS Cloud Computing and Data Center Management framework for professional users. 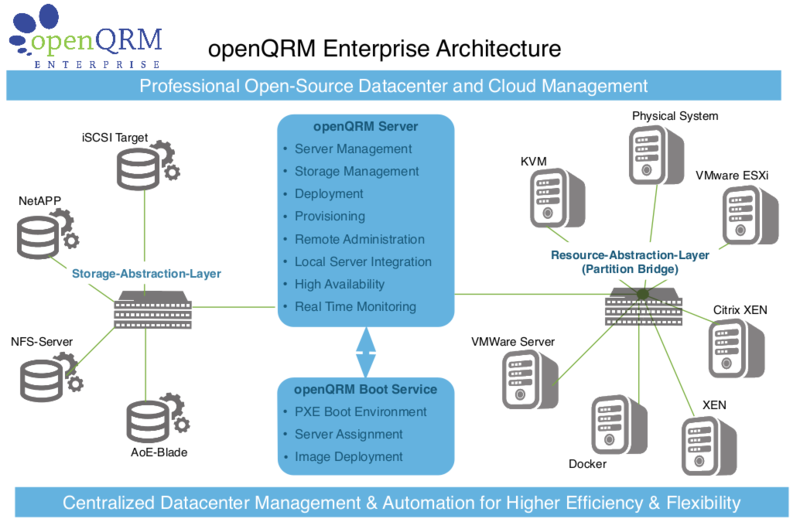 openQRM Enterprise provides you with a complete Automated Workflow Engine for all your Bare-Metal & VM deployment and all of your IT subsystems. Gain higher efficiency through management, automation and monitoring of your Data Center & Cloud capacities. Billing Integrated. Automatic billing, overview and interface to SAP, etc. 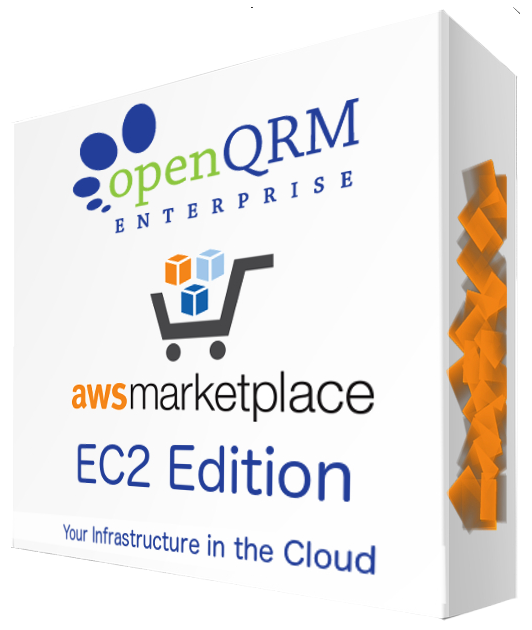 Extends your datacenter capacity by shifting load to AWS EC2, OpenStack, etc. High Availability. Automatic HA for Systems & Cloud deployment. Management Overviews. Stay in sync with your Data Center's reality. Major hypervisors/containers supported: KVM, XEN, Citrix XenServer, VMWare ESXi. Migration. Automated server migration P2V, P2P, V2P, V2V. Integrates with all major open and commercial storage technologies. Auto monitor your IT infrastructure. Detect problems & security breaches. Manage multiple datacenter locations from one web console. Integrates with the best Open Source management tools: puppet, nagios/Icinga, collectd, etc. Your infrastructure in the Cloud - Ideal for R&D, QA & for your production environment. Save time and ensure swift IT service delivery with increased automation! Simply let users provision thier servers via self-service portal and receive application stacks in minutes. 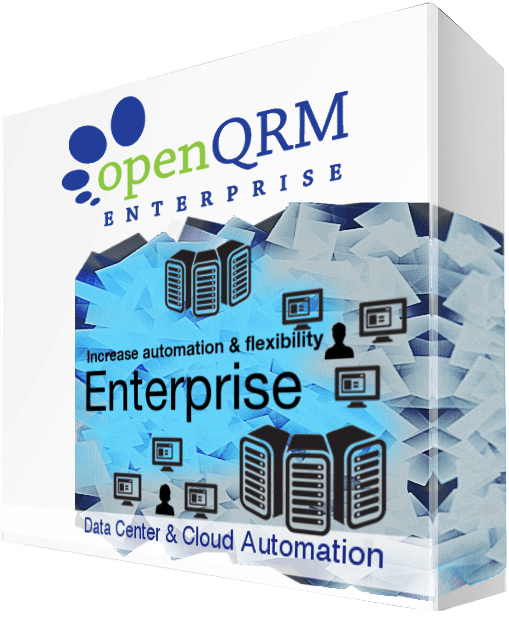 openQRM Enterprise Edition offers you extensive management, automation and monitoring possibilities. Profit from the technical benefits of KVM like hardware support, memory support and a high security level all at the lowest ongoing cost. Simply add additional plug-ins for more functionality. Directly connect to VMware vCenter-server in a vSphere environment. Auto-install ESXi hosts on bare-metal hardware. Simply put a Private Cloud on-top of your existing VMware vSphere environment. HA, monitoring, ip-management and much more are automatically also available for VMs.